Whatever your need we have the tools, experience, and ability to help you keep your current ozone system running at peak performance. We have experience with most ozone generators manufactured and have the tools necessary to keep you running, or get you back up and running fast. Oxidation Technologies offers comprehensive service contracts for ozone systems and the water treatment industry. Benefit from cost-effective O&M and comprehensive service agreements leveraging support from our experienced and knowledgeable staff. Oxidation Tech provides on-site service, preventative maintenance, and repairs of Ozone Generators and equipment. Oxidation Tech has the experience, tools, and parts to keep your Ozone Generator and associated equipment running and operational for the long term with minimal down-time. Emergency Service – Oxidation Tech provides emergency service for repairs of your ozone equipment. Through our network of service partners and our centrally located home office, we can get to your site quickly and make the necessary repairs to get you up and running in a timely manner. Preventative Maintenance – Oxidation Tech can work with your facility to create a preventative maintenance plan for your Ozone Equipment. These plans are customized to your precise requirements and schedules. We come on-site at predetermined time intervals to perform high-level maintenance by providing instructions, assistance, and parts for routine maintenance by on-site staff. Equipment Repair – Repair of Ozone Generators and equipment can be done on-site for large equipment. This can be done on short time-frames (emergency service) or be scheduled when we are in the area. If your Ozone Equipment is compact enough to ship or cannot be repaired on-site, we can help you package and ship your equipment to our shop for in-house repairs. Maintenance is an important part of any mechanical system. Ozone systems are no different. Oxidation Tech has the experience and manpower to assist you with your ozone system maintenance. Whether you desire maintenance parts and advice, or a comprehensive maintenance contract we can satisfy your needs. Click HERE to be directed to our ozone system maintenance webpage. Oxidation Tech can repair nearly all Industrial Ozone Generators back to original specifications. Many Ozone Generators have been built/integrated by ozone companies that either no longer exist, or offer no repair services. In these cases, we are able to help. We will repair many obsolete Ozone Generators from manufactures that do and do not exist today. Of course, we would also be glad to repair any current models of Ozone Generator. 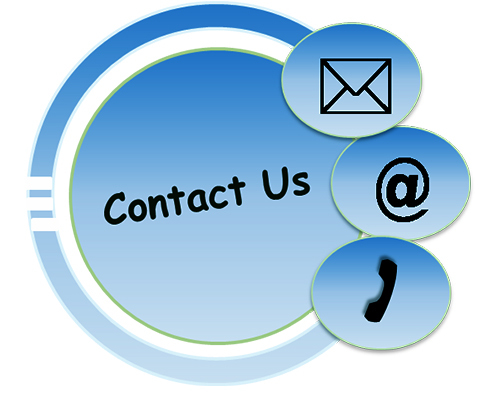 Our experience and knowledge allows us to repair your Ozone Generator in a timely manner at a very competitive cost. Many Ozone Generators today use the same internal components provided by only a handful of manufacturers. There are relatively few Ozone Generators that are manufactured from completely exclusive components. Therefore, repairs of many brands of Ozone Generators use the same internal components. Also, there are now aftermarket parts available to replace the commonly used components in many Ozone Generators. So, before you give up on that older Ozone Generator, or are told your Ozone Generator is obsolete, give us a call! Our in-house repair labor rates for Industrial Ozone Generators = $75/hour. We do not charge a fee for diagnostics of your Ozone Generator. We will diagnose the repair and quote a repair price for your Ozone Generator at no cost. If you decide not to repair the Ozone Generator we will only charge for return shipping of your equipment. Ozone is very commonly used for air treatment in many applications. Many manufactures, large and small, have produced Ozone Generators for air treatment that blow ambient air over a UV lamp, or corona discharge element to produce ozone from the ambient air in a room. We refer to these type of units as commercial, or air blower style Ozone Generators. We stock many aftermarket and original OEM repair parts for these Commercial Ozone Generators. The components used are frequently interchangeable between units; therefore repair costs are frequently low. If you have a Commercial Ozone Generator in need of repair, give us a call. We would be glad to diagnose and quote a repair cost of your Ozone Generator. Our in-house repair labor rates for Commercial Ozone Generators = $65/hour. We do not charge a fee for diagnostics of your Ozone Generator. We will diagnose the repair and quote a repair price of your Ozone Generator at no cost. If you decide not to repair the Ozone Generator we will only charge for return shipping. Ozone monitors is our specialty. We offer repair, calibration, and even rental of Ozone Monitors for most every application. Many Ozone Monitors can be supplied with a replaceable pre-calibrated sensor chip. This means calibration is as simple as ordering a replacement sensor, and swapping it out on-site yourself. This can normally be done in less than 10 minutes. Your ozone generator not on the list? Give us a call, it likely uses parts manufactured by one of the companies on the list above.